Welcome to our website! Las Vegas Kitchen and Bath Remodeling is a local Southern Nevada remodeling contractor that you can rely on for impeccable designs and meticulous craftsmanship. We live in Clark County right alongside our many satisfied clients, so we have a thorough understanding of the architectural styles that grace this unique, vibrant town. Regardless of where you may live in fabulous Las Vegas, Nevada, from Sunset Road on the east side to Summerlin in the west, we can and will satisfy all of your bathroom and kitchen remodeling needs. There are some things that you purchase that will satisfy a particular want or need, but the outlay of cash is money spent, plain and simple. Things are entirely different when it comes to a Las Vegas, Nevada kitchen remodel project. 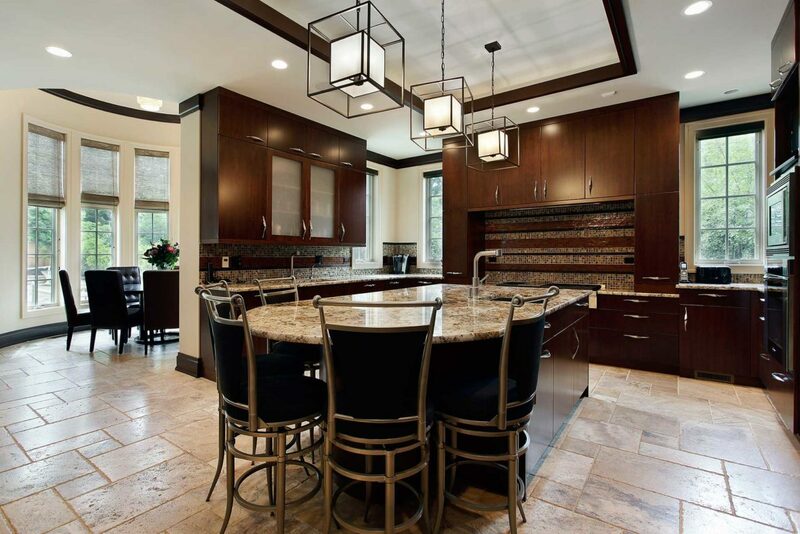 When you work with our company to transform your kitchen through the installation of custom kitchen cabinets, quartz or granite countertops, new fixtures, upgraded flooring, and carefully placed lighting, you are making an investment in your home. The value of your property will immediately go up, and this will offset the cost of the Las Vegas, Nevada kitchen remodel job. Without question, you are making a sound financial decision when you have custom cabinets and premium countertops installed, and you are improving your quality of life on a day-to-day basis. We should also point out the fact that a kitchen remodeling project can include alterations of the existing space itself. For example, an island could be added or removed, and a wall could be pulled out to provide a more inviting, open space that facilitates interactions between people who are in different rooms. In addition to our kitchen remodeling expertise, we also do bathroom renovations and bathroom remodel work, and we take a great deal of pride in the craftsmanship that we bring to the table. We can install custom bathroom vanities, glistening new fixtures, flooring tiles, and other aesthetically appealing upgrades. If you would like to discuss your needs with a Las Vegas, Nevada remodeling contractor who you can rely on for affordable quality, call us right now at 702-826-2999.